On the eve of a nuclear holocaust, a man attempts to make a pact with God to save the earth. At two hours and 20 minutes, relatively little occurs, but The Sacrifice is never dull. It's as though Tarkovsky has somehow managed to manipulate time, stretching a short film out to extended feature length without adding any new scenes, like a slice of bread kneaded back to dough and baked into a full loaf. 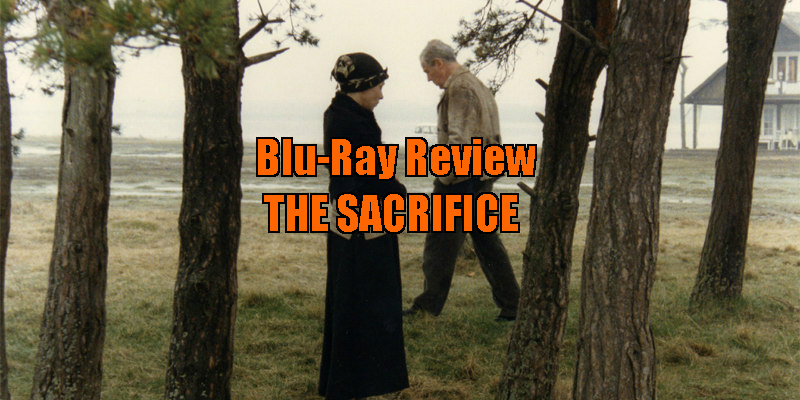 Having released all of his narrative features over the course of the summer, Curzon Artificial Eye complete their Andrei Tarkovsky library with his final film, The Sacrifice, filmed in exile in Sweden. The best way to get to know a filmmaker is to watch their movies in chronological order in quick succession, a luxury afforded those who have been subscribing to Curzon's full Tarkovsky set. The trouble with this method however is that it becomes difficult to view each movie on its own terms rather than in the context of the filmmaker's oeuvre. When viewed in such a context, The Sacrifice can at times feel parodic, as though some Scandinavian Tarkovsky fan decided to imitate their hero. There's a lot here we've seen before - monochrome flashbacks consisting of long pans across wasteground, indoor rainfall and levitating women. Remove these moments, and The Sacrifice feels like a wholly original work. Taken on its own merits, Tarkovsky's film is one of the most interesting takes on the cold war, and undoubtedly the primary influence on one Scandinavian Tarkovsky fan, Lars Von Trier, whose Melancholia owes more than a debt to the film. It would be a stretch to call The Sacrifice a mainstream drama, but remove the trademark surreal intrusions and you have a pretty standard narrative. With the action largely confined to one area, it could almost be an adaptation of a stage play, albeit one blocked in Tarkovsky's signature style and shot with an auburn elegance by Sven Nykvist. At two hours and 20 minutes, relatively little occurs, but The Sacrifice is never dull. It's as though Tarkovsky has somehow managed to manipulate time, stretching a short film out to extended feature length without adding any new scenes, like a slice of bread kneaded back to dough and baked into a full loaf. Tarkovsky reunites with his Nostalgia star, Swedish screen legend Erland Josephson, who here plays Alexander, an aging writer who lives in a remote part of Sweden with his English actress wife Adelaide (Susan Fleetwood), daughter Marta (Filippa Franzén), and young son, referred to only as 'Little Man' (Tommy Kjellqvist). Visiting their home for Alexander's birthday is the family doctor and object of Adelaide's affections, Victor (Sven Wollter), and the philosophical local postman, Otto (Allan Edwall). The gathering is interrupted by an emergency TV broadcast, in which the Swedish Prime Minister tells his public they must prepare for total annihilation, as World War III has broken out. Jet fighters roar overhead, Adelaide collapses into a neurotic mess, and the men deal with the situation by retreating to alcohol, as any stoic Northern European should. Despite having earlier confessed he enjoys no relation with God, that night, Alexander pleads with the deity to spare the earth from this oncoming catastrophe, offering up all he owns, including the life of his son. Otto returns, and offers Alexander a rather curious way of reversing the planet's fate. 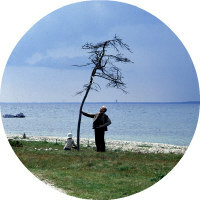 With each progressive movie, Tarkovsky becomes more spiritual, and more critical of science and technology. And personally speaking, with each work I find myself more distanced from his worldview. While the spiritual Tarkovsky grew up in the Soviet Union, were religion was essentially banned, I, a non-believer, grew up in a state unofficially governed by the Catholic Church, an institution that still tells the people of my country what they can and can't do with their own bodies. Perhaps it's a case of the grass always being greener. That said, I can put aside my own beliefs (or lack thereof), and take the work of spiritual filmmakers on their own terms. I might even argue that filmmakers who believe in God make better artists than their atheist counterparts, because logic is often the enemy of art. With Tarkovsky's late work, however, there's a worrying element of fundamentalism, particularly in his negative portrayal of women as witches and harpies posing as obstacles on the spiritual path of his noble male heroes. When Alexander sets his home on fire at the end of The Sacrifice, history now makes it impossible not to think of the fundamentalist attacks of 9/11 as we watch the structure collapse in on itself. While Tarkovsky's nemesis, Mikhail Gorbachev, ultimately became one of the great heroes of the 20th century, it's men (and they're always men!) like the protagonists of Tarkovsky's films who would become the greatest threat of the 21st century. I'll stick with my faith in science over superstition, but I'll still enjoy Tarkovsky's work on his own terms. The Sacrifice is one of his best, but like any work of religion, it shouldn't be viewed as a manual. 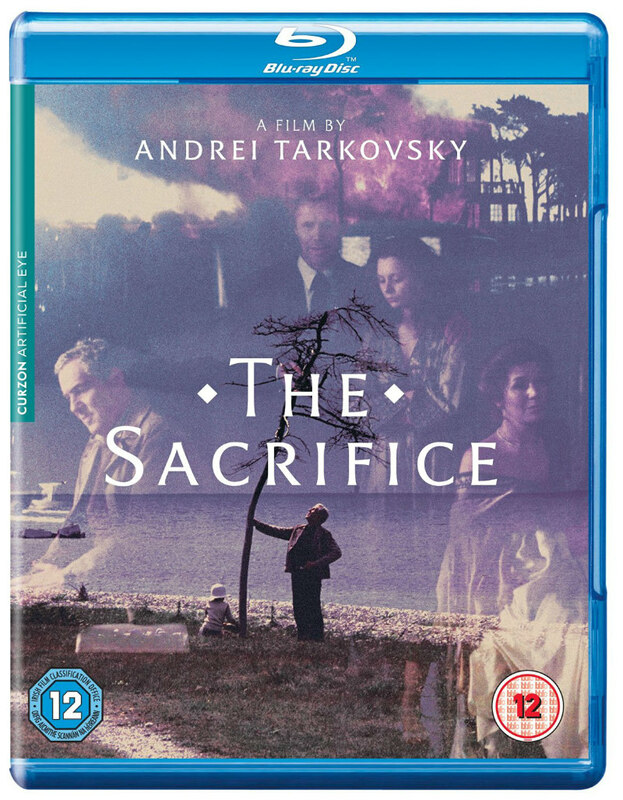 The Sacrifice is released on blu-ray and DVD by Curzon Artificial Eye September 26th.